Porsche 918 Spider will be at the 2012 Goodwood Festival of Speed. 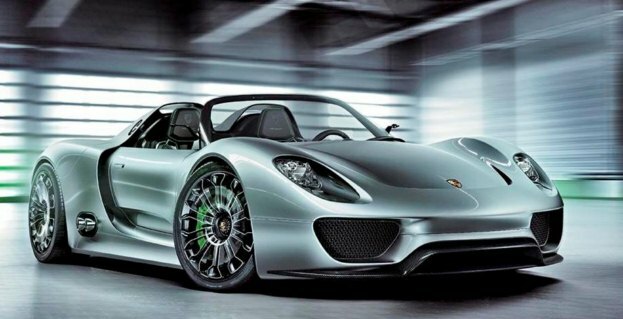 The Porsche 918 Spider prototype will apparently make an appearance at the 2012 Goodwood Festival of Speed. The car apparently will have up to 770 hp in race mode (when boosted from the electronic motors, plus the power of the V8 gas powered engine), a top speed of over 200 mph and be able to get up to 78 MPG in fuel economy mode will cost over £500,000. If it really does make an appearance at Goodwood then it will be a car that I will make a point of seeing for sure. Excited. One thought on "Porsche 918 Spider will be at the 2012 Goodwood Festival of Speed." I can’t until this weekend. My camera is armed to capture pics of the porsche and other super cars.